In the aftermath of the 1909 assassination of Ramón Falcón & Juan Alberto Lartigau, the upper class in Argentina began to pay attention. Wary of what they considered disruptive elements to society, immigration laws were modified to exile anyone committing a crime in the name of anarchism, Marxism or any other -ism convenient. Universal male suffrage in 1912 further shifted politics away from the upper class when Radical candidate Hipólito Yrigoyen was elected in 1916. The 1917 Communist Revolution & growing strength of labor unions only intensified what the upper class saw as a challenge to their power. When a metalworkers strike spiraled out of control at the end of 1918, violence broke out between police, strikers & scabs hired to keep production going. Certain groups thought the violence originated from the Jewish community & a pogrom was carried out. The army had to intervene to restore order with a final death toll of about 1,000 people & another 4,000 injured. 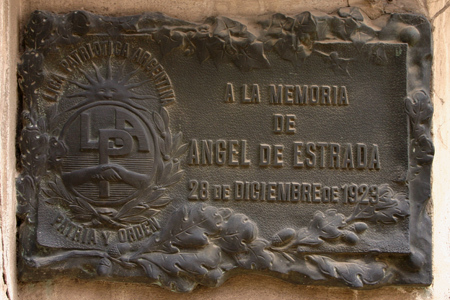 The 1919 Semana Trágica would go down in history as one of the most violent working class conflicts in the nation’s history. 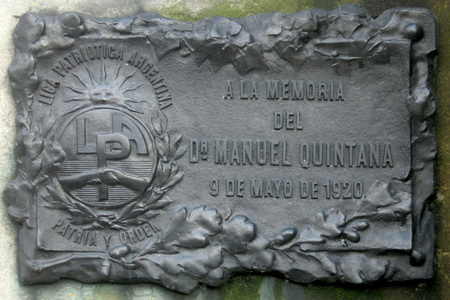 Citizens who took part in repressing union activity during the Semana Trágica later formed an extra-governmental organization to maintain order: the Liga Patriótica Argentina. With a collective identity of “Argentine-ness,” they proposed to do what the government or police could not: prohibit erosion of the current order & stop all those foreign ideas from entering the country. Good luck with that. How can you argue with the following logic? 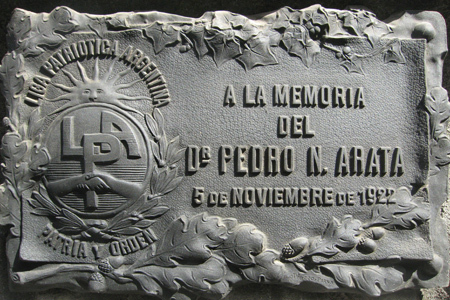 Cien años de virtudes fundaron la civilización argentina y la historia de nuestro siglo XIX, la exaltación más bella de la conciencia de un pueblo dispuesto a ser grande. Todo ese pasado de honor no puede alterarse por la perfidia de gente recién llegada trayendo en el alma la derrota de sus vilezas. Argentine civilization & our 19th-century history was founded on one hundred years of virtue, the most beautiful exaltation of the consciousness of a people with a desire to be great. All that honorable past cannot be altered by the treachery of recently arrived people bringing in their soul the path to vileness.